I wouldn't stop talking about my trip to Dorset in the weeks building up to it and moaned for a week after because I was so sad to be back home. I'm going to stop sulking about not being in Dorset to bore you with loads of photos from my trip. 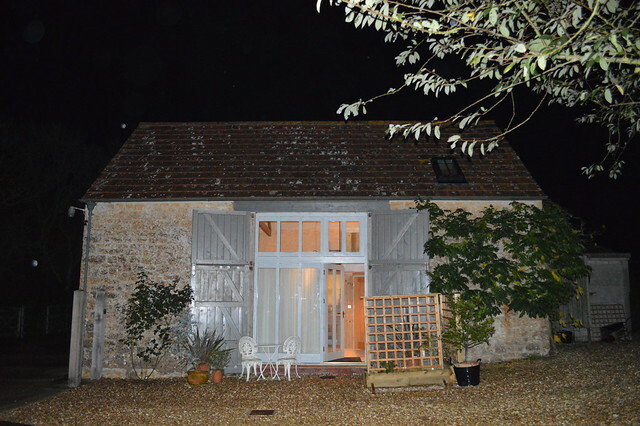 I stayed in a newly converted barn near Bridport which I booked through this site, I would highly recommend a stay at here because it was really idyllic. I will definitely be returning in the new year for a longer trip. I spent the weekend with my boyfriend (thanks for driving all weekend Martyn) and we explored as much of the Jurassic coast as we could during our short time there. Isn't it lovely? 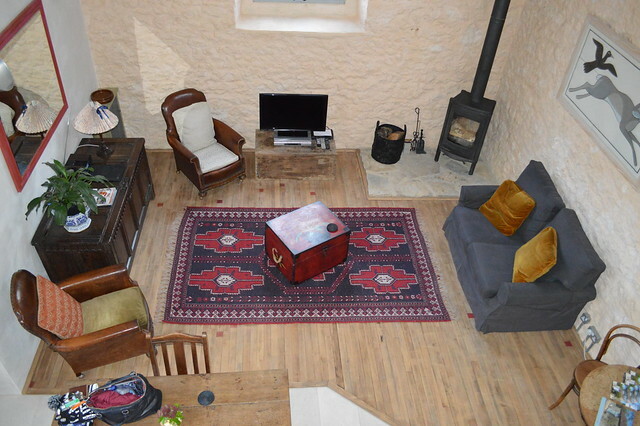 It's the perfect place for a couple to stay and had everything we needed. When you're on holiday you have to eat something a little bit special so I made my first ever pie and it was the first time I made pastry and I think it went pretty well. 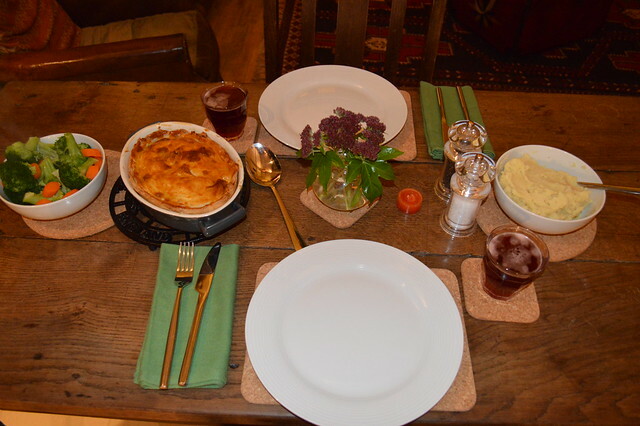 I followed this recipe to make a tasty pie containing beef, ale and mushrooms. It took a couple of hours to make the filling and pastry two days in advance but didn't take long to assemble at the barn. I don't think I would make it again because I'm pretty sure my boyfriend preferred my chicken and chorizo bake where I just bung all the ingredients in a tray and roast in the oven, much simpler. 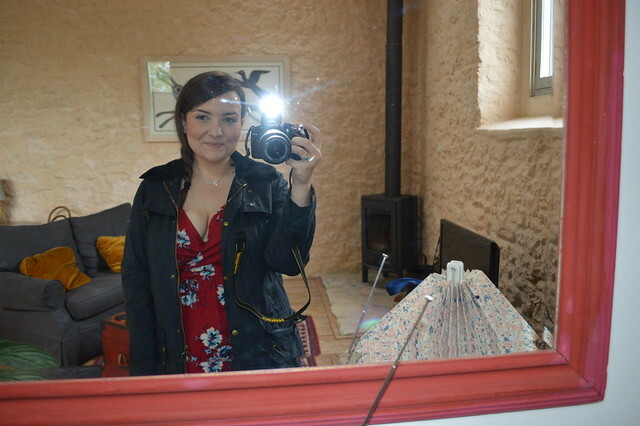 Trying out my new Nikon D2300 and looking relatively neat before I headed out into the crazy 70mph coastal winds. I love my new camera but still getting to grips with it so if you've written a post about shooting with a dslr then please leave a comment with a link. 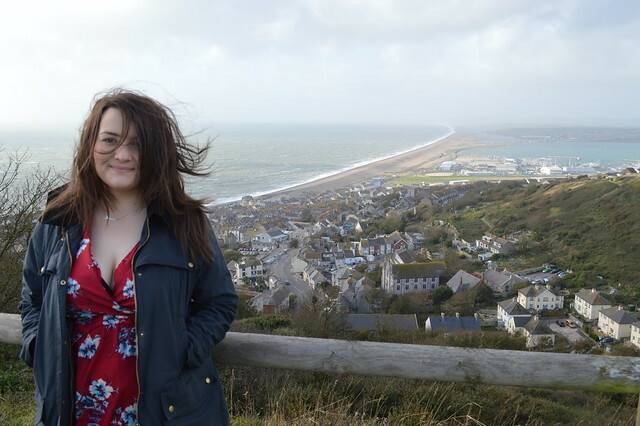 We braved the winds to visit Chesil beach which is over 18 miles long and stretches from Portland to West Bay. 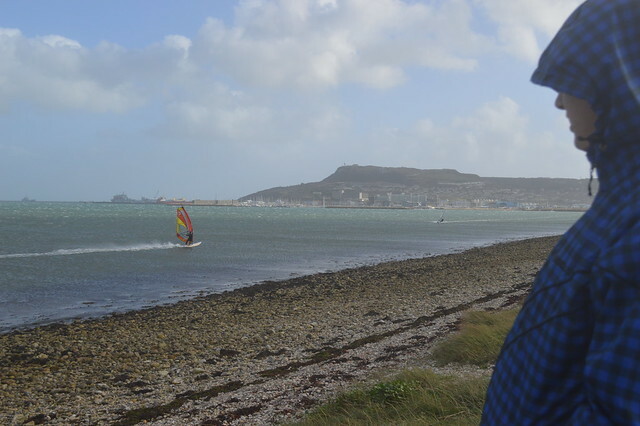 The 70mph winds were not the best conditions for enjoying the beach or maintaining a chic look but the people windsurfing seemed to be enjoying it. The lovely view of Chesil beach from one of the viewing points along the coast. 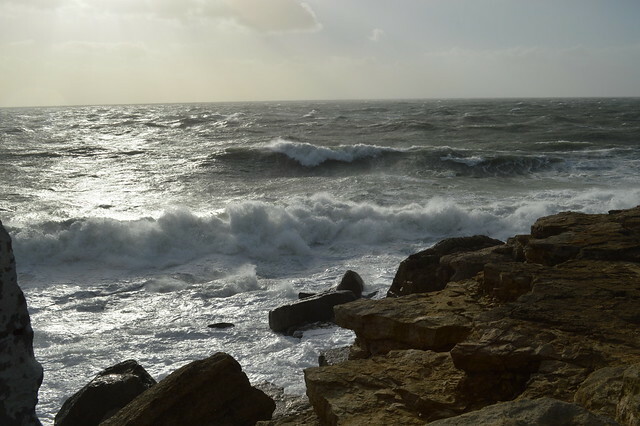 We hadn't quite had enough of being blown around so we headed to Portland Bill to see the lighthouse. 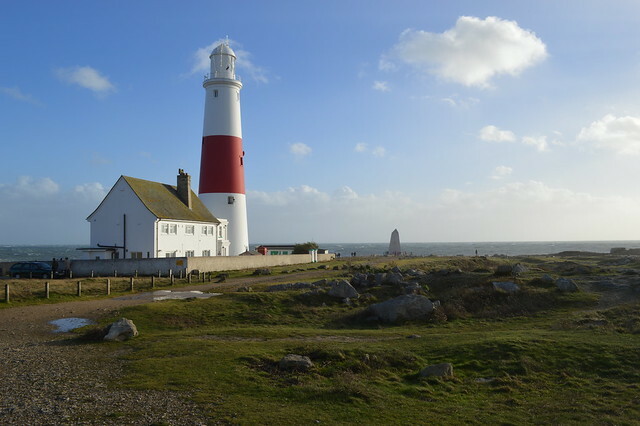 Portland Bill Lighthouse guides vessels heading for Portland and Weymouth through rough and hazardous waters as well as acting as a waymark for ships navigating the English Channel. The area was absolutely beautiful but the rough seas and high winds were a little terrifying if you got too close to the edge. I would love to come back when the lighthouse is open to visitors and when the wind is a little more calm to explore more. 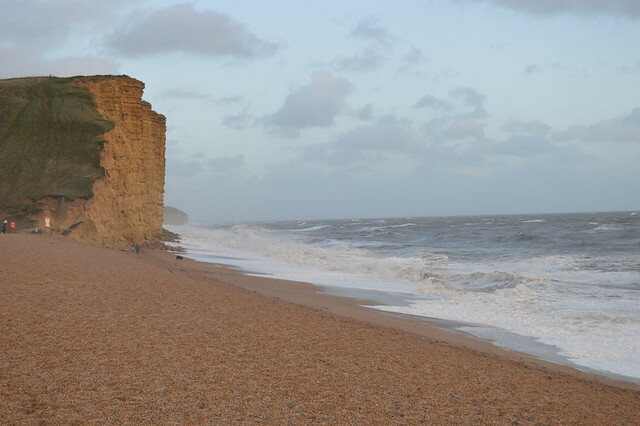 I really wanted to visit West Bay after watching Broadchurch as most of the series was filmed here. 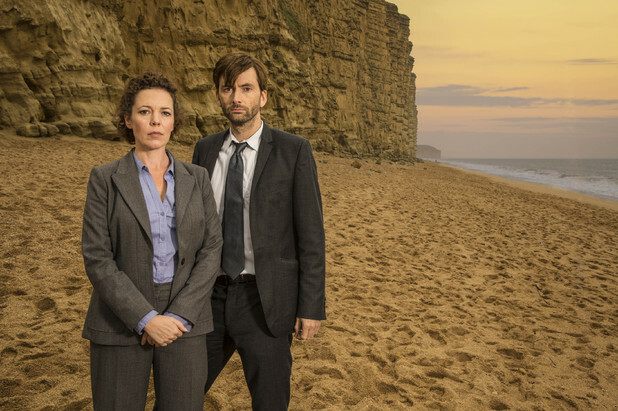 All the press shots are taken in front of the east cliff which is pictured below. Again, I shouldn't hang around on the beach for long because the wind was so cold so we headed back to the barn for a cosy night in chowing down on some very nice food which I posted about earlier in the week and watching American Horror Story. I'm going to post about day three of my trip later in the week, hope you enjoyed the photos. Love the shot with the lighthouse, certainly looks like a gorgeous little place to stay too! My boyfriend too that one, he's much better at using my new camera than I am!